Shaw Auto Recyclers has 15 acres of North American, import and light duty truck parts. 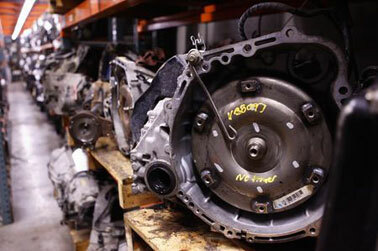 With over 1,200 cars and trucks in stock, we have over 40,000 major auto parts that are ready to go. We process over 2,000 cars and trucks annually, giving us one of the most extensive in-house selection of car parts in Ontario. If we do not have your part we have instant access to over 1.5 million parts which are available within days. We now belong to the LQK Family of Auto Recyclers. The worlds largest supplier of recycled automotive parts. Sometimes the option of an aftermarket auto part is the best solution for your automotive repairs. LKQ Corporation is not only the worlds largest supplier of used OEM parts but we are also the largest supplier of aftermarket parts through our connection with Keystone Automotive. We can now truly offer you one stop shopping. Please call one of our reps for pricing. We feature a fully computerized inventory of all units in stock, which means that we can provide you with instant answers to your Parts Request. With Shaw, there is no wait to find out if a part is in stock. A limited lifetime warranty is included with all body parts and a limited 6 month warrant is included with all mechanical parts at no additional cost. The best in the industry! We also offer additional protection at a nominal cost. Please call for details. LKQ Shaw Auto Recyclers has access to 100% of all the computerized systems in Canada. Send us your parts request --there is a 95% chance of getting the parts you need when you take advantage of the Exclusive Hot Line Network. We can now assure that your part will get to you when you need it. All local deliveries are free of charge and are guaranteed the next day. This delivery area includes most of Southwestern Ontario. We also deliver to the rest of the province with two working days for a nominal fee. Canada wide delivery is available through common carriers withing 4 working days and for a nominal fee. We purchase late model wrecks for parts at competitive purchase payouts. Free pick-up and same day cash.